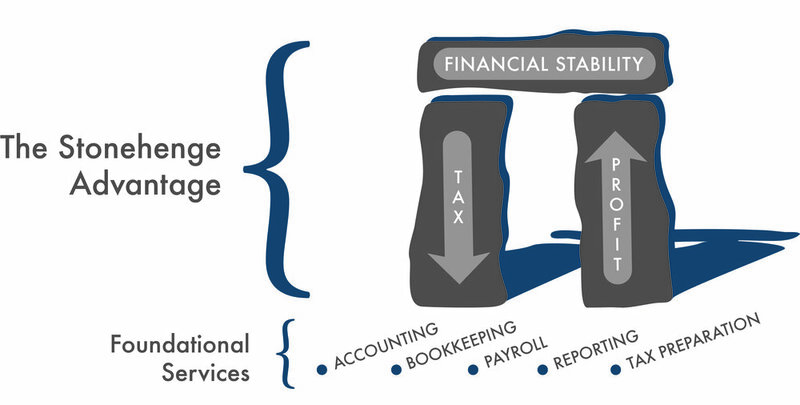 At Stonehenge, we'll work with you throughout the year to help you slash your tax bill, boost your profits, and achieve financial stability for your small business. And while we're at it, we'll provide you with all of the same Foundational Services that you are currently getting from your accountant. All for a fixed monthly fee that you can afford!